Help !! There's a Creepy Stone in My Wall !! 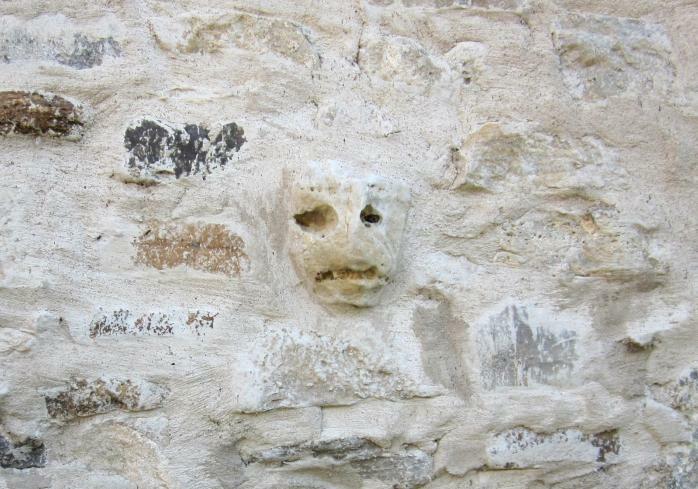 Some years ago, this unusual stone was built into a wall of an old home in Beaconsfield, Quebec. The stone had been found nearby on the property, and then incorporated in the wall during masonry work. Barbara Barclay, the owner of the house in question, would like to know if this stone is the result of human art, or whether it was formed naturally. Please contact QAHN if you have any ideas!